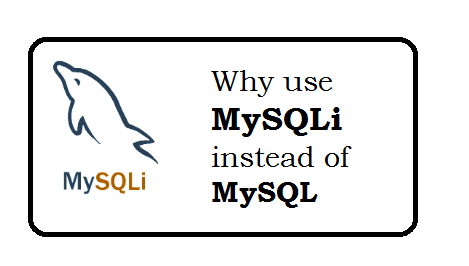 Why use MySQLi instead of mysql? Question: Why use MySQLI instead of MySQL? In MySQL, we must use mysql_real_escape_string to avoid attacks where as in MySQLI its inbuilt. Question: How to checked MySQLi is installed OR Not? you can check in phpinfo. Question: How to enable MySQLi in php.ini? If not already enabled? Question: How to connect to MySQLi? Question: What minimum PHP Version required for MySQLI? Question: Give Example of Database Connection? Question: Give Example of Insert Record? Question: Give Example of Fetch Record from database? Question: Give Example of Free the Memory after getting data? Question: Give Example of Delete Record? Question: Give an example to close the MySQLi connection? What is MySQLI technology in php.